Today, the drinking water is disinfected by chlorine due to its excellent bactericidal effects. However, when chlorine reacts with organic matters in the water, a carcinogenic chlorine compound is formed. Those chlorine compounds have been associated with adverse health effects such as bladder and colon cancers and adverse pregnancy outcomes such as miscarriages, birth defects and low birth weight. In this test, we demonstrated the ability of HKIII Bamboo Salt to decompose the chlorine compounds and therefore safeguard your health. 1) We prepare 3 beakers with drinking water. 2) Tolidine solution is added to confirm the presence of chlorine compounds. 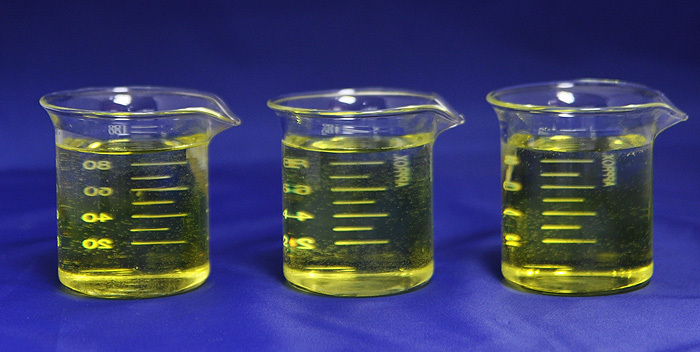 The color change (yellow) indicates the presence of chlorine compounds. 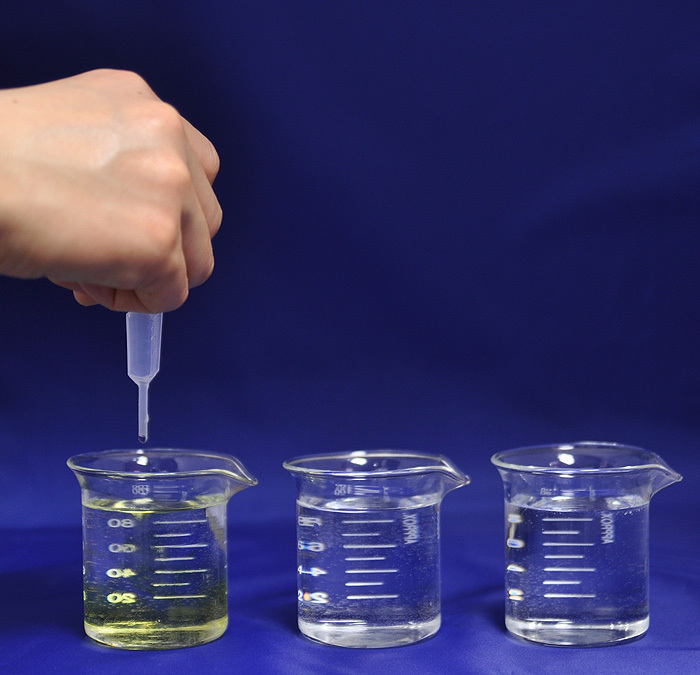 3) Chlorine compounds is presented in every beaker. 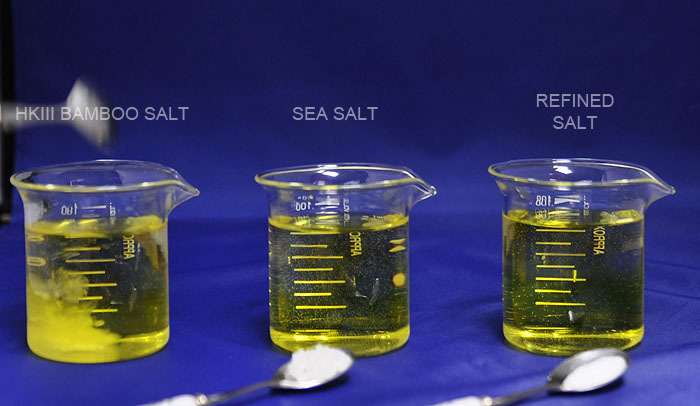 4) HKIII Bamboo Salt, sea salt and refined salt with 10% concentration are added to different beakers. 5) The chlorine compounds are decomposed when HKIII Bamboo Salt is added. The sea salt and refined salt have no responses. 6) After 2 minutes, the chlorine compounds are fully decomposed by HKIII Bamboo Salt. Add a pinch of HKIII Bamboo Salt in any of your drinks (e.g. coffee, tea, soup, plain water ...) to decompose the carcinogenic chlorine compounds in the drinks and at the same time to replenish the minerals you need.